Projects are as much a part of our work-life as the coffee machine. Strange but true! A typical work day of any professional is filled with all sorts of project meetings – status update, project review, Stakeholder review, management review and as many visits to the coffee machine! Is it that a good coffee in the morning sets your tone for the day? 99% of we coffee lovers will say "Well YEAH!!" This simple daily act has an important message – “kick-offs are important” and all efforts and focus must be deputed to ensure we start things on the right note with our best foot forward. And, projects are no different! I consider Kick-off meetings to be one of the “Critical Success Factors” of any project. It is your opportunity as the Project Manager to rally your troops behind a common goal. You get to present the project vision, the expectations, stakeholders involved, the TEAM & its GOAL! It is best if you have the basics of a project setup in your chosen project management tool. For e.g. create the project, invite the project team, define user permissions, create the initial tasks & define timelines. Let us quickly see how we can prepare and orchestrate an effective and successful "Project Kick-Off Meeting". - the stakeholders – management, client, team etc. Your TEAM is the most important part of your project after the charter. Getting them to know each other, building rapport and explaining their roles & responsibilities on the project is key to successful project delivery. The finer execution details can wait for now. As a Project Manager, you must take enough time to ensure the stakeholders also know each other’s expertise & strengths so that they can reach out to the right person when in need. Exude confidence, hope and trust while you explain the team as to why they are the chosen ones and what is expected of them. 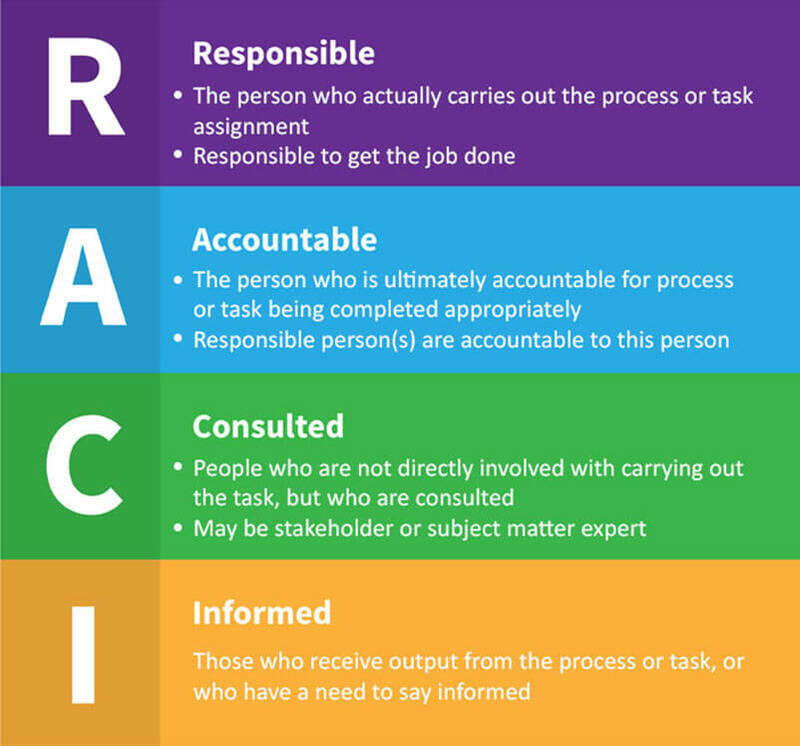 It would be a good time to introduce the "RACI Matrix" to your team so that they know who is Responsible, Accountable, will be Consulted or Informed. Positive sentiments among the team would go a long way when the going gets tough. Once you have the team introduced and settled with the project scope and problem at hand, begin with the timelines of the project. Be specific in communicating the start and end dates, the periodic milestones, projects within project if any, allowed deviation and expected results from each task and the overall project. 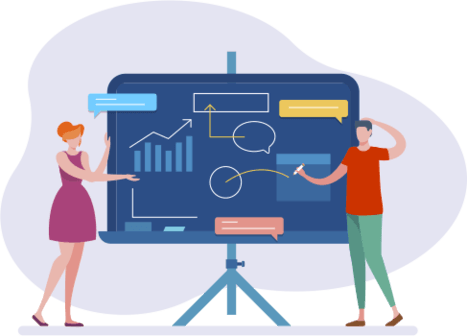 A visual and interactive "Gantt Chart" and "Kanban View" would come in very handy while sharing the project schedule, task assignment and timelines for your team’s easy understanding. You can further boost their productivity, save their time and reduce any duplicity of efforts by using the "Workflow Management" offered by your project mgmt. tool to your team’s advantage. During execution it is important to ensure "Resource Availability" and to measure and manage your "Resource Utilization" so that you stay within the budget and do not run into resource issues which ALWAYS lead to huge stand-off in the organization and result in project delays. Some activities may require a "Daily Catch-Up" or an instant discussion over a "Chat" engine and yet be recorded within the project management software for audit and future references. Having automated email notifications would be a blessing in disguise while working on projects with a lot of stakeholders. Updating and/or submitting a reply or comments to a task can fire away the key updates and progress with your desired stakeholders in a matter of seconds. Given the sheer amount of project documents involved having a central project repository that allows for changes, is controlled by proper user privileges and available when needed is a must. Even better if it allows for social sharing via Google drive, Dropbox etc. provided your project manager or company authorizes it. Before you embark on a journey, it is wise to gather as much info about the impending terrain as possible. This mainly translates to risks and constraints in project management terminology. Knowing the risks and preparing for them in advance would reduce your project delays, budget overruns and save your team a lot of stress. You may face supplier, resource, budgetary, government regulatory etc. risks depending on the nature of your business and project. Ensure you have a proper Risk Mitigation Plan and a Rapid Response Team who are aware of the "ASK" and your entire project team knows whom to reach outshould an emergency occur. Each project begins with a defined end result that is expected to solve the problem at hand. The tangible and intangible deliverables must be clearly explained and shared with all relevant stakeholders. You must stay away from use of any management or technical jargons and buzz words. Explain in simple yet detailed terms each relevant objective that is supposed to be met by the team. The team’s alignment to the common goal is of utmost significance for project success. There should be no room for guess work. More than that, the team’s belief in the end result and the rewards it entails will also go a long way when it comes to flawless execution and on time delivery. Now that you have shared your vision, associated goals, time lines, productivity and delivery goals with your team it is utmost important that they provide feedback. Depute a reasonable amount of time to answer all their questions and/or concerns if any. You may unearth crucial information and facts that may prove beneficial for the project. Urge the team to be forthcoming with their ideas, recommendations, to highlight their or other members’ strength and expertise. The higher the interaction, greater the chances of team collaborating and willing to bring facts to the decision making table. Not only will this lead to better planning and execution but also provide time and money benefits. - Go over the crucial points, deliverables, goals and risks etc. The above actions will help build mutual trust and confidence among the stakeholders and encourage each one to work in the best interests of the project. All of which are very crucial for a successful project delivery.